SQRDUP may be confusing to spell but it’s easy to use. The most frustration-free alignment aid I’ve used. Tremendous versatility. 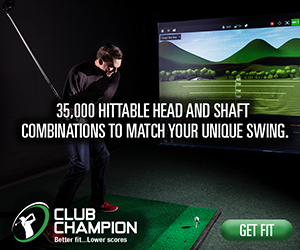 It’s common knowledge that the average amateur golfer has poor alignment. And while there is no shortage of training aids to improve this – everything from rods to strings and beyond – very few players actually use them. I’ve always believed that a major reason is the aggravation of setting them up, checking if they’re right, then reconfiguring them when you want to switch targets or after you accidentally kick them. SQRDUP removes all that frustration, plus it offers training opportunities that your average alignment sticks can’t touch. SQRDUP operates on a single on/off switch. All four lasers turn on and off together and are powered by a USB-rechargeable battery. SQRDUP claims that a single charge powers 3.5 to 4 hours of use. Included in your purchase is a Joby tripod which makes positioning SQRDUP easy. You can also use the lasers without the tripod if you don’t need them to extend as far. SQRDUP comes with an instructional pamphlet that illustrates a few of the uses, but this is one of those trainers that lends itself to creative uses. Please note that the lasers appear more faint in the photos than they are in person. The SQRDUP lasers are visible even in bright sunlight, but long beams are easier to see in darker conditions. Let’s start with the generic bit: any golfer can improve by paying attention to their alignment. SQRDUP is a great way to do that, so top marks there. Now let’s talk about some ways you can use SQRDUP. The way that I use it most often is placing the device between my feet to create a target line for my feet, a ball position check, and, most importantly, a reference for my club face. This last piece is the most important. Even those of us who are religious about using alignment sticks can end up with poor face alignment. Since I’ve been using SQRDUP, my start line control has improved markedly. Also, with this placement you can also check your hand position at address and the position of your divot. You can also put SQRDUP behind the ball to create a target line or swing path. As a target line, SQRDUP is particularly valuable when it’s darker because you can see the laser far down range to judge your accuracy. With regard to swing path, SQRDUP is superior to alignment sticks because you can put the line where you are actually swinging. SQRDUP can also be used in all the ways described above on the putting green. 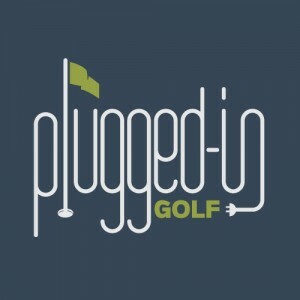 In addition to working on basic alignment and start line drills, it’s great for practicing breaking putts. If you set the laser on your start line, you can easily diagnose whether you’re missing because of your read or your stroke. Finally, SQRDUP has been amazing to use with my kids. I tried to get them to use an alignment stick once. It lasted two swings. This winter, however, they were regularly reminding me to “bring the laser” before we headed to the golf dome. The SQRDUP gets high marks when it comes to longevity. It’s small enough to live in your golf bag and can be used in every facet of the game. Moreover, it’s quick and easy to set up, so you won’t hesitate to put it to use. SQRDUP retails for $199 through the company’s website. This includes the laser unit, a carry bag, a Joby tripod, and the USB cable. This is orders of magnitude more expensive than driveway markers or even the fancier alignment trainers, so it’s clearly not for everyone. If you feel the need to rant about the price in the comment section feel free, just be civil. While this is not a device for everyone, I will point out one thing. Any amount of money spent on a training aid you don’t use is wasted, and that describes most alignment aids for most golfers. I love using SQRDUP which gives it value for me. At $200, I don’t expect SQRDUP to become a common sight on my driving range, but I think that for the teaching pro or serious range rat, it’s an investment worth considering. It is much more enjoyable to use than your average alignment aid, and it has great versatility. Thank you so much for the great review. 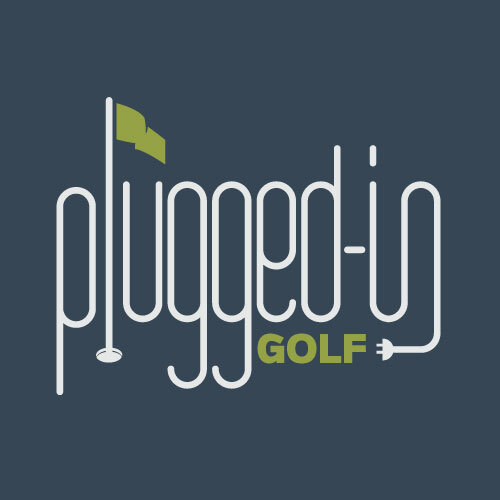 After working in the basement for a very long time to bring SQRDUP to market it is very rewarding to see a review from PluggedInGolf!